Last week, we started discussing the issue of remuneration and tried to drive home the point that almost all the employees work for money without which no employment can be thought of. There are some vital aspects of remuneration that we have to consider this week. Satisfaction of an employee cannot be neglected under any circumstances and this sense of satisfaction is closely linked with fair remuneration. By fair remuneration, it is universally understood that similar work gets similar pay; the idea of fairness implies that similar work and similar pay prevail in the institutions outside also. A just and fair pay satisfies an employee. It means his effort and skill are recognized and rewarded satisfactorily. With the fair remuneration, the employee is able to meet the needs of the daily living. Fair remuneration can be looked upon as minimum wage for the employee. With this minimum wage, he not only meets the needs of the daily living for sustenance but also has some money for education of his children and also for some medical expenses. 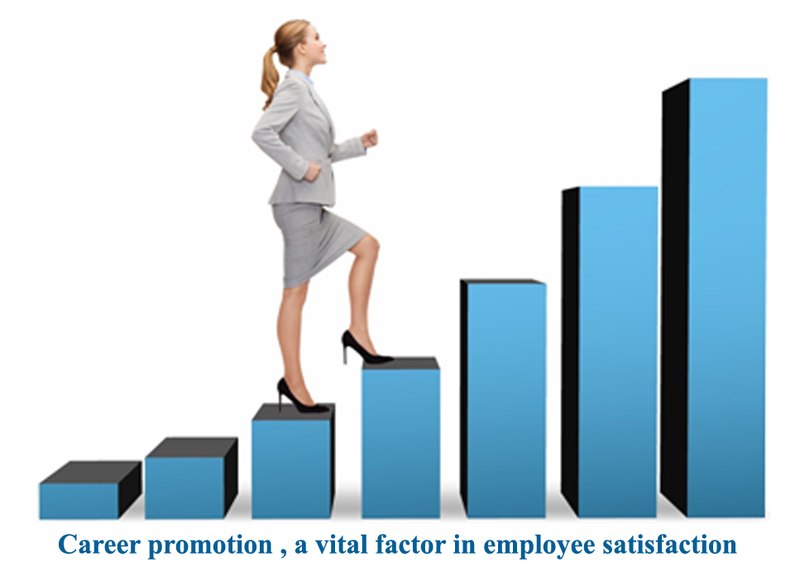 There are some other factors that contribute to the satisfaction of the employee. First and foremost, the pay must be paid promptly without delay. It means a lot to the employee. In his own small way, he has a budget for the family which covers payments to so many service providers. On the beginning of the month, he has to pay his dues to the paperman, the milkman, and to his own servants who are in a way his employees. Prompt unfailing dispensation of salary forms the basis of the employee's satisfaction. The institution itself can have and in fact should have another dimension that provides satisfaction to the employee. The structure of the institution must have in-built scope for promotion; the employee must be given opportunities to promote himself in the institution by moving up on the ladder of administration. In other words, he should not feel that he is stagnating; he has got stuck up in one position for life. This scope of internal promotion adds value to the institution itself. So, apart from money, career advancement opportunities also satisfy the employee. Of course, he will understand that climbing up depends on such vital factors like skill development, greater responsibility and automatic and voluntary sharing of the goal of the administration without wavering and diluting commitment. Prompt and fair pay along with the promise of career promotion generally motivate the employees and it is believed that a motivated employee is highly productive employee and the more the productive employees are in any institution, the greater is the chance of the institution proving constantly successful, meaning earning proftis year by year. Apart from financial benefits, there are some indirect-financial benefits that too satisfy an employee. Under indirect financial benefits , the facts like PF, gratuity, medical compensation, fringe benefits like canteen facilities and furniture are included. Some of the most popular indirect financial benefits for the employees on a little higher rank are the club membership, group insurance. Under any circumstance, we cannot forget one basic fact about business. Business is to make profit and it is not for and it cannot be for social welfare. Any scheme that helps promote profit-making atmosphere in the institution is a productive one and it cannot be easily dispensed with. And remuneration is the key driver of any institutional and the employee growth.